If you are having any problem with Omg Chat or if you would like to offer business them or if you just want to leave a feedback about the website, there are some ways to do it. We will provide information on here to contact to the website devs on this page. There are two different ways to contact to them. You will find the information at the next paragraph of this content. 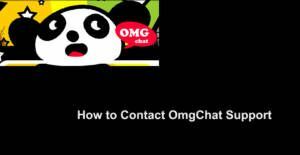 You can ask us if you have any question regarding contact Omg Chat. Let’s begin to tell you how to do that with examples. 1-) Go to the main page of your mail provider and login to your account. 2-) Click/Tap on Compose button on your inbox to begin write an email. 3-) Write “support@cammedia.com” to the receipt email address. 4-) Please write a nice title which will take their attention and title should be also related with your problem, business offer or feedback. 5-) Write a descriptive mail to the OmgChat and send the mail. They are going to respond you as soon as possible. 1-) Please click here to go to support page of the website. 2-) Write your name in the first field of the form. We recommend you to use your surname also for business talks. 3-) Write a valid email address. If you are a user of Omg Chat, we recommend you to use the email account which you have registered to the website. 5-) Describe your problem, feedback or business opportunity in the message section of the website. 6-) Enter the validation code on the last field and submit the form! That is all! Now you have reached to the support of OmgChat and wait for response!